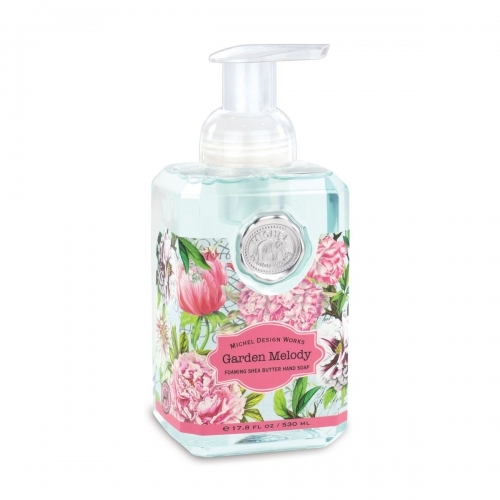 Garden Melody Foaming Hand Soap Shop the largest selection of Michel Design Works foaming hand soap - Garden Melody Collection. Plus free shipping on orders over $50 within the United States. The generous size of our foaming hand soap proves you can offer great value without sacrificing quality. The soap contains shea butter and aloe vera for gentle cleansing and moisturizing. 17.8 fl. oz. / 530 ml liquid.